The dominant feature of this house is its two-story polygonal bay. As with the other houses in the neighborhood, windows are grouped and tied together with wood strips. These strips are incorporated in the fake half-timbering. (In real half-timber buildings built during the Middle Ages, the timber beams were actually the structure holding up the house.) The thin, long bricks are called “Roman.” Here they’re used in two colors to accent the stucco. The name “Roman Brick” stems from the fact that the ancient Romans were not able to fire their bricks at the high temperatures achievable with modern equipment. Thus, their bricks had to be thinner to ensure that the material hardened all the way through. 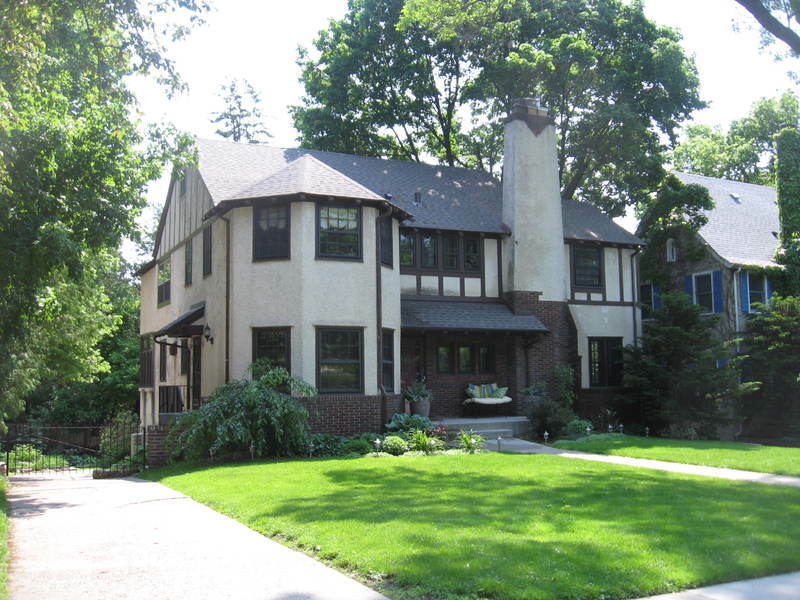 Use of Roman brick was popularized by Frank Lloyd Wright in his Prairie School houses. Other features that add to the cozy English Cottage styling are the small, deeply set multi-paned windows next to the front door, the battered chimney with brick accents, and carved rafter tails peeking out from under the eaves. Also notice one of William Purcell’s favorite tropes: the beam that sticks out past the right edge of the entry porch. 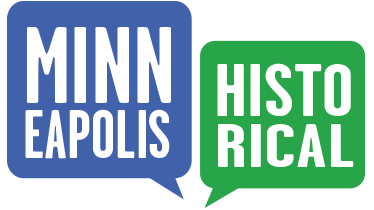 Richard L. Kronick, “5319 Upton Ave. So.,” Minneapolis Historical, accessed April 18, 2019, http://minneapolishistorical.org/items/show/118.